I started learning violin at the age of six. I began seriously thinking about my future when I was at high school, and gave a lot of thought to which university I wanted to go to. The Melbourne Conservatorium of Music was always on the top of my list because of the incredible music course they offer, and so I was elated when I was accepted. A typical day for me begins in the practice rooms at either the Southbank campus or Berkeley St in Parkville, where I’ll practise until my next class, which is usually late morning. After class I grab a drink or lunch with friends before heading off to class for the afternoon, and then after my final class for the day I usually end up at the practice rooms again. Then it’s off to ensemble rehearsals to finish off my day. 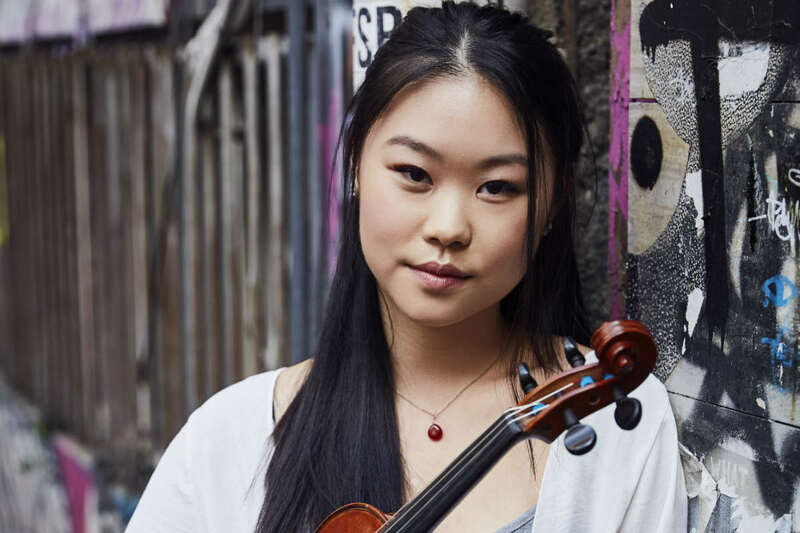 Melbourne Conservatorium of Music violinist Amy You. Image by John O’Rourke. A lot of things inspire me, but it is the people surrounding me that inspire me the most. Seeing my friends and peers succeed and progress inspires me to work hard. I’m surrounded by people who are equally as passionate about music as I am. We are all reaching for similar goals and it is a great thing to be able to support and encourage each other along the way. It is challenging to stay 100% driven and disciplined all of the time because life can distract you sometimes. I try and remind myself that I am lucky to be studying and making a career out of something that I love, therefore I shouldn’t take for granted the time I have now. One of the highlights of my first year at the Conservatorium was being given the opportunity to travel to South Korea with my string quartet and a small group of other musicians. 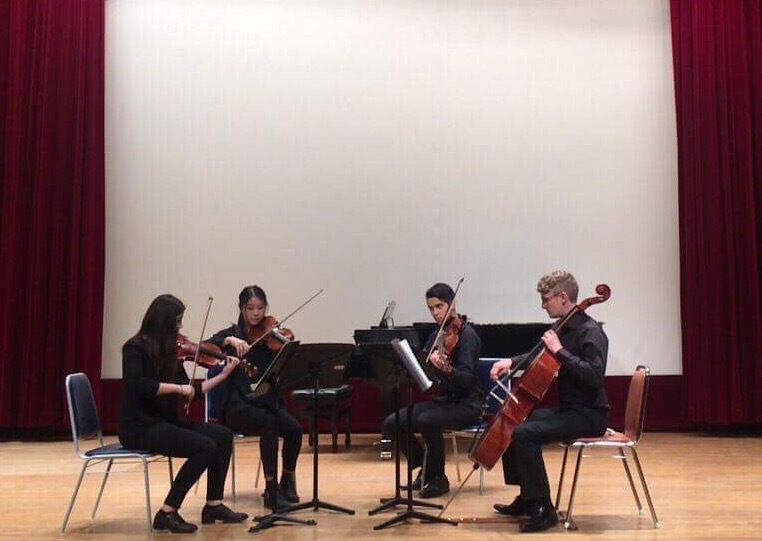 After four months of performing together, my quartet – the Kalon Quartet, which consists of fellow students Louise May (violin), Aidan Filshie (viola), and Oscar Woinarski (cello) – was lucky enough to be chosen to represent the Conservatorium on a mini music tour. The Kalon Quartet performing at the University of Ulsan, South Korea. Image supplied. After participating in a masterclass with the University of Ulsan’s Head of Cello Dong-Oo Lee, we performed Shostakovich’s String Quartet no. 3 at the University of Ulsan and Hyundai Hall. 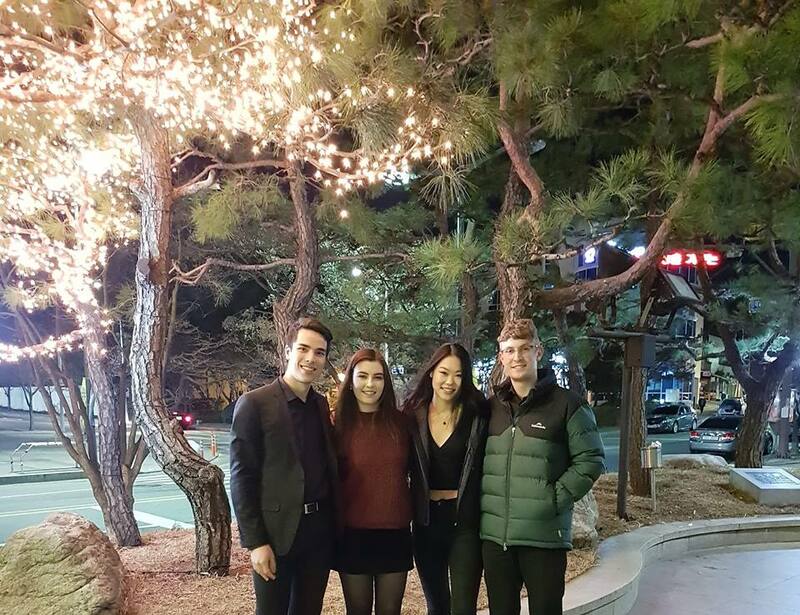 Getting to meet and make music with South Korean professional musicians and getting to explore South Korean culture was an incredible experience. The Kalon Quartet outside Hyundai Hall, South Korea. Image supplied. 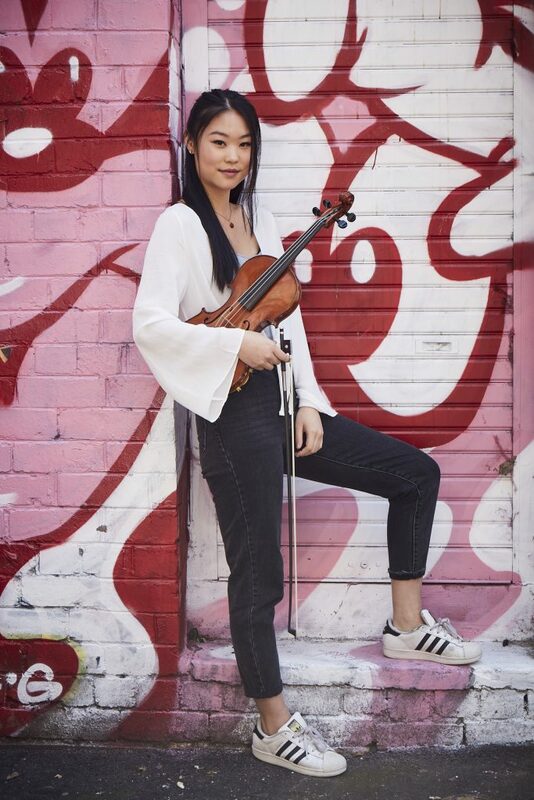 The Conservatorium has already provided me with so many opportunities such as international tours, performance opportunities and a wonderful orchestral experience with the University of Melbourne Symphony Orchestra under conductor Richard Davis. Before I started there, I’d never played in an orchestra that strives for such a high standard of sound and ensemble playing. I remember at the first rehearsal I felt incredibly welcomed and you could feel the excitement in our first run through. Playing in the orchestra has also given me the opportunity to create friendships with other students – not just those who play your instrument, but from the whole orchestra. There is a real sense of family. I feel like this is one of the most rewarding experiences at the Conservatorium: you’re able to hear the musical growth of an ensemble throughout the year, but the whole time it just feels like you’re having a jam with your friends. I have improved hugely in my own technique and my understanding of technique from my private lessons with Associate Professor Curt Thompson. This will only continue in the coming years. My goals for the next few years are simple: to make the most of the time I have now, to develop my technique, become more involved in orchestras/ensembles and to keep loving what I do. If I had to give advice to someone looking to become a professional musician, I’d say: be passionate about your instrument because in the end, you’re going to be playing for a very long time. It really makes all the difference if you love your art. Find out more about the Bachelor of Music (Music Performance). Book tickets for the next University of Melbourne Symphony Orchestra concert on 21 April.